There are times when exercise and diet just aren’t enough. You’ve tried everything to lose the last bit of stubborn fat, but it just won’t go away. If this sounds like you, it may be time to try CoolSculpting. This non-invasive treatment that can get rid those persistent pockets of fat with minimal downtime. At Wayzata Cosmetic Surgery and Spa, we pride ourselves on providing excellent treatment to help you look and feel your best. Located in Wayzata, MN, we offer a variety of services to both men and women of the area, ranging from CoolSculpting body contouring to hormone therapy. Contact us today to schedule your initial consultation with us and start your journey to the figure of your dreams. This non-surgical treatment uses cooling technology to freeze stubborn fat cells that have been resistant to exercise and diet. 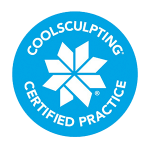 CoolSculpting is FDA approved and works to provide you with noticeable, natural results that are long-lasting. During your consultation with one of our specialists, we will discuss your sculpting goals and provide you with a realistic expectation of what this treatment can do for you. It is important to note that CoolSculpting is not a weight loss treatment, and should only be used when diet and exercise have failed to remove pockets of stubborn fat. The cooling treatment works by targeting fat cells. Since these cells are more sensitive than the surrounding tissue, they freeze much faster, allowing just the stubborn area to be treated. This process is called cryolipolysis. From there the frozen fat cells die and are removed by the body’s natural clean-up process. One eliminated, it is difficult for these cells to return. Results will vary based on your treatment area and desired goal. The process of the body removing cells takes time, as will your outcome. Most patients begin to see results about three weeks following their first CoolSculpting session, with optimal results being seen after four to six months. Some people may need multiple treatments to reach their desired goal. The results tend to be long-lasting with the adoption of a healthy lifestyle. If you are near your goal weight with stubborn pockets of fat that won’t respond to diet and exercise, CoolSculpting may be for you.